Powerful and durable, the ThinkPad E570 is light enough to go wherever your business takes you. With its slim design and light weight, the ThinkPad E570 gives you the performance to get things done wherever you are. Powered by a 7th Generation Intel Core i5 processor and 8GB of RAM, the E570 ThinkPad is the ultimate productivity machine. 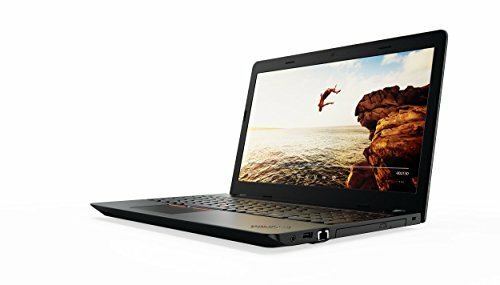 The E570 has a host of productivity-enhancing features, including Windows 10, which combines the best of Windows you already know, plus lots of great improvements you'll love having. Additional HDMI, VGA, and USB ports make life easier when presenting or sharing information. And a Trusted Platform Module (TPM) function gives you extra peace of mind by encrypting all your data. The E570 is easy on the eyes-and ears. It comes with up to a 15.6\" FHD (1366x768) antiglare display. You can also enjoy crisp, clear surround sound via built-in stereo speakers and Dolby Audio Premium. Complete your multimedia experience with a multi-recorder optical drive.